Get free AbleCommerce installation and a smooth running site by choosing the right foundation, and say goodbye to file upload problems, permissions issues and other AbleCommerce hosting compatibility headaches! It just requires several click on your mouse and moreover, it is provided FREE of charge! What is European AbleCommerce Hosting? 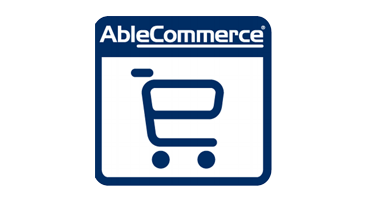 AbleCommerce shopping cart system was the first to be certified under the new PA-DSS v1.2 standards. We continue to work on revalidation by the PCI Security Standards Council to make sure the software is always safe and secure. Be careful of other solutions that claim to be 'compliant' - it is not the same. Visa.com maintains a list of PABP validated payment applications on their website. AbleCommerce is shopping cart software written for Microsoft Asp.net, one of the most widely used languages. At the core of our shopping cart is the CommerceBuilder engine, a set of compiled .NET assemblies that provide an object oriented framework for ecommerce transactions. This framework is extremely flexible and well documented to make it simple for developers to create a truly custom shopping experience. Why Choose HostForLIFE.eu for European AbleCommerce Hosting? Try our Free AbleCommerce Hosting today and your account will be setup soon! You can also take advantage of our Windows & ASP.NET Hosting support with Unlimited Domain, Unlimited Bandwidth, Unlimited Disk Space, etc. You will not be charged a cent for trying our service for the next 3 days. Once your trial period is complete, you decide whether you'd like to continue.